Hire the right people. Ever heard that statement before? Seems to be the obligatory first point by every blog article giving you tips on decreasing turnover. Well that's much easier said than done. Don't get me wrong, it is very important to screen potential employees for not only their technical skills to complete the assigned tasks but more importantly to screen employees for their soft skills. your boss really cares about. Download this cheat sheet here. All restaurants have target markets so then why not have target employees? Many restaurants are centered around a certain culture, whether that is corporate for a multimillion dollar organization or a mom and pop diner down the street. Employees who embody your culture are far more likely to stay with your restaurant, simple as that. If a potential employee has personality traits that do not match the culture of your organization than it's only a matter of time before that employee moves on. To help set up a target employee base, think about your ideal employee traits and how they would bring their technical skills and soft skills to complete tasks and work efficiently with others in your organization. No one is perfect but your restaurant can have a template of the ideal employee and create an application system with multiple layers to help filter out unqualified candidates. You're not in the business to lose money and waste time, so don't neglect targeting the proper employees for your restaurant. In the infamous words of business recruiters everywhere, "we have decided to go in a different direction." Screening employees who are flooding your restaurant with resumes is one thing but trying to acquire new talent or retain a strong team member is something completely else. Having the internal systems in place to discuss competitive features with current and prospecting employees allows for mutually beneficial cooperation without employees feeling the need to move elsewhere. Let's be honest, as an employee, hearing another organization has a better paycheck, better benefits or a better work environment can leave one wanting and moving to a new organization. Restaurant's can compete with each other for high tier employees as much as they compete for market share. This is why having systems in place to discuss competitive employee advantages is essential in retain hard working individuals. A willingness to work with your employees to give them the best work environment and perks speaks volumes that you care more about them than your bottom line. Everyone likes to feel validated when they take time to complete a task, whether it's from themselves or from a peer. This is no different in the work environment. Giving praise to employees and coworkers is the surefire way to let them know they are appreciated for all their work. The level of praise is all on you, maybe holding company events or dinners to celebrate a recent business success are simple but effective. On a personal level, acknowledging one's efforts can be as simple as thanking them for their hard work. Going hand in hand with praising an employee's efforts, conducting a professional environment is a another factor that coincides with how an employee feels treated. It may not seem like much but simply saying please and thank you when discussing the assignment and completion of tasks goes a long way. This may sound elementary but no one wants to work in an environment where they are neither appreciated or respected. Treating people in a respectful and professional manner is never going out of style. This could be seen as an extension of having internal systems designed to support the employee. Being flexible is part of business as dates and agendas can change on the fly. So having that same flexibility towards your employees is a major benefit. Working with your employees' schedules, maternity needs, and even emergencies is huge. However, take the above statement with a grain of salt because if there is a complete lax in employees, than no work is being done. Not all restaurants have the luxuries of deep pockets and plenty of employees able to pick up the slack of other employees on leave for multiple months. 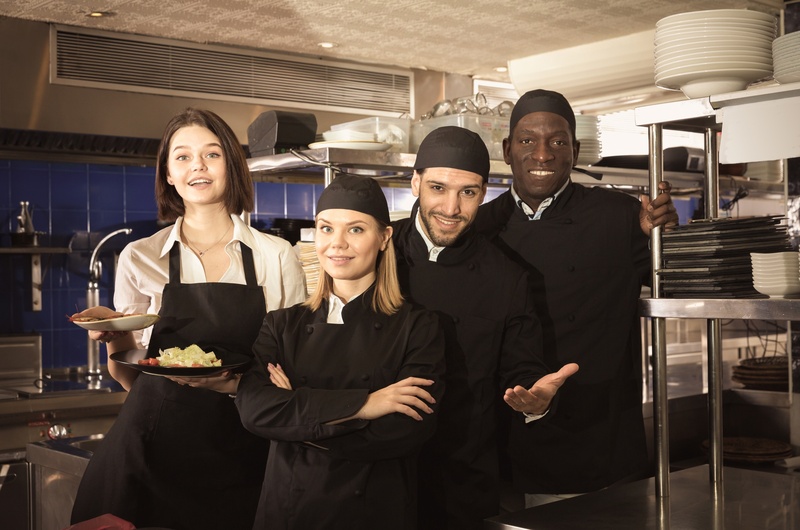 It is ok to offer extensions of leave to accommodate your employees but just remember that if your workforce is not working than neither is your restaurant. Are you facing challenges with your marketing strategy? Contact us today (951) 479-5411.